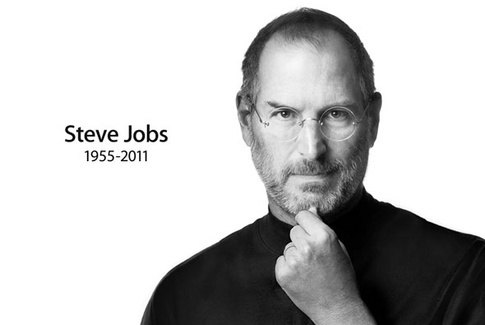 Would famous Apple CEO Steve Jobs be alive today if he had accepted science the same way he accepted technology? Pancreatic cancer will kill half of patients but he guaranteed his death when he waited 9 months after his 2003 diagnosis to have surgery that could have saved his life, instead opting for belief that medicine was bad and alternatives were just as legitimate. Spiritual healing, acupuncture, fruit cocktails and stuff he found on the Internet all got the nod, until none of them worked and in desperation he resorted to real treatment. He's not alone. Complementary alternative medicines, which claim to work in conjunction with real medicine but is actually just the rebrand of integrative medicine, which was the rebrand of holistic medicine, which was the rebrand of folk medicine, all are well-known to cancer patients, according to new research. What remain little recognized by cancer patients are the risks of trying things they read on the Internet, not to mention safety issues and risk of interactions of cocktails with anti-cancer drugs. A structured survey(1) administered over a 4-month period (1 January - 30 April 2018) of use of non-conventional therapies among 152 outpatients with sarcoma, gastrointestinal stromal tumor (GIST) and desmoid tumors receiving care found that patients knew the latest miracle claims touted by osteopaths like Joe Mercola and other companies who fund Organic Consumers Association or its industry trade group U.S. Right To Know. And so vitamin D is in the leading fad, followed by selenium plus zinc, vitamin C, and vitamin B17. Cancer patients were also convinced due to the Google search prominence of healing herbs, homeopathy, acupuncture, meditation, yoga, Tai Chi or changes in dietary habits, like switching to a ketogenic or vegan diet. The survey found that cancer diagnosis showed to have sparked patients' interest in alternatives to medicine in 44% of participants. Only 7% reported getting any of their information about alternative to medicine from oncologists. In the survey, 60% of patients recognized they had little awareness related to safety issues of alternatives to medicine even though they also said they showed low concern for any potential risks. Instead of asking doctors, 43% of patients got information on alternatives to medicine from the Internet while 15% got it from friends. But when they wanted to ask about side effects of cancer treatment, the majority just asked their doctors. In a review(2), scholars found that 29% of drug-drug interactions requiring pharmacist interventions were associated with alternatives to medicines. Risks of interactions with non-conventional drugs were the same as for co-medications: mainly increased toxicity and loss of efficacy of anti-cancer treatments. Alternatives to medicine remain having all the risks and no benefit. Steve Jobs should have known better. You can be smarter than he was in 2003.